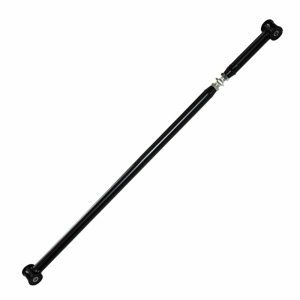 Replace the heavy factory panhard rod with J&M Products heavy duty tubular on car adjustable panhard rod. 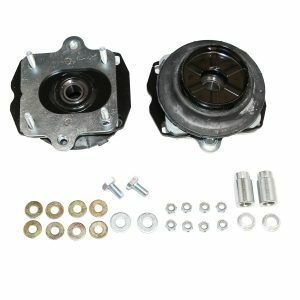 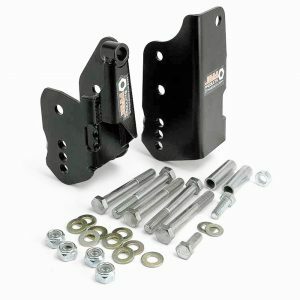 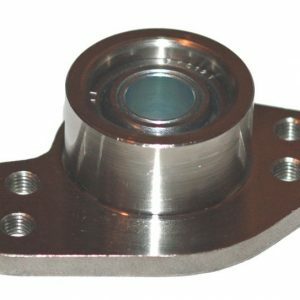 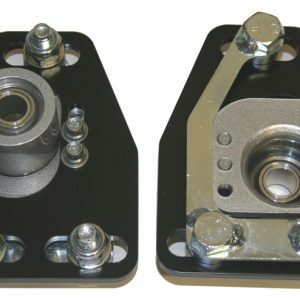 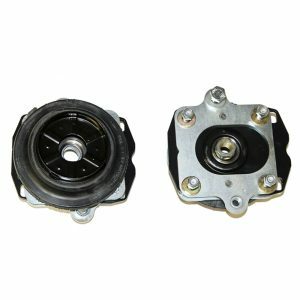 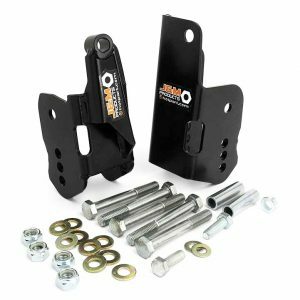 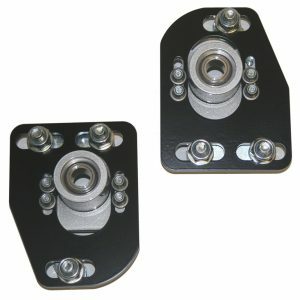 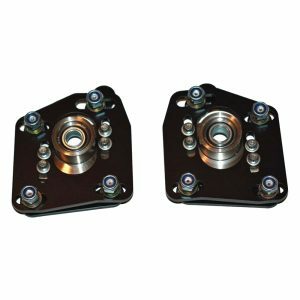 This is a direct bolt-on replacement that will minimize wheel hop, improve cornering, lowers ET’s and greatly help your track consistency. 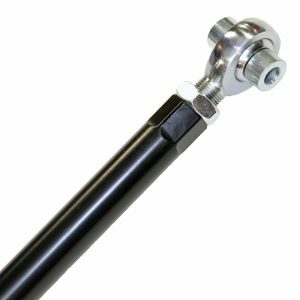 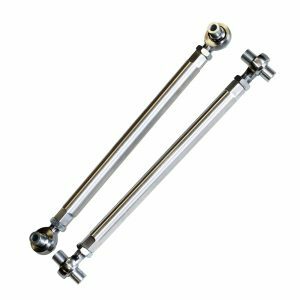 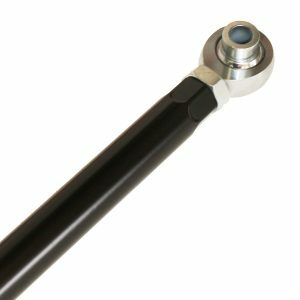 J&M Products turnbuckle panhard rod is constructed from 1.25″ U.S. made DOM steel tubing, 1045 steel threaded tube adapters (stronger than chrome-moly), completely CNC machined and fully pulse welded for outstanding strength. 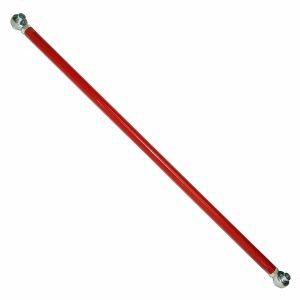 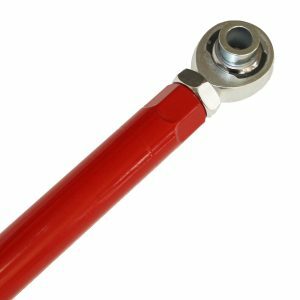 This panhard rod also feature easy adjustment using a super high strength 4340 alloy steel turnbuckle that has been heat treated to the same strength as a grade 8 bolt for superior strength over any other brand turnbuckle on the market. 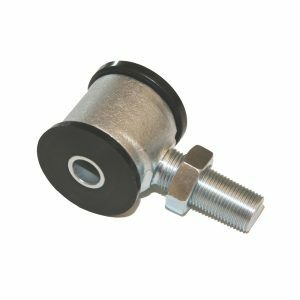 J&M Products also doesn’t cut the threads like our competition but we choose to roll our threads just like rod ends and high quality ARP hardware.